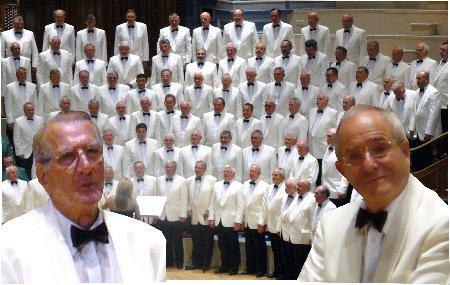 Congratulations to Robby Harrison and Dudley Williams on celebrating their half century of song with the Choir in 2011. They are now appointed Vice-President Choristers of the Morriston Orpheus Choir. 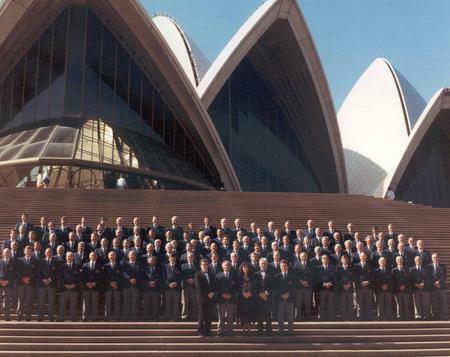 The official photo celebrating 50 years of choral service to the Morriston Orpheus Choir. 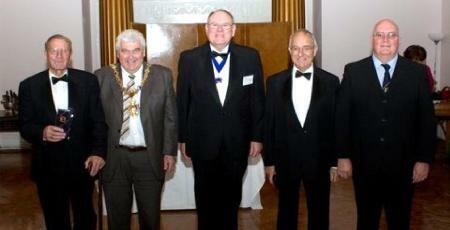 left to right: Robby Harrison, Lord Mayor of Swansea Ioan Richards, Choir Chairman Terry Bennett, Dudley Williams and Choir President, Ron Marno. 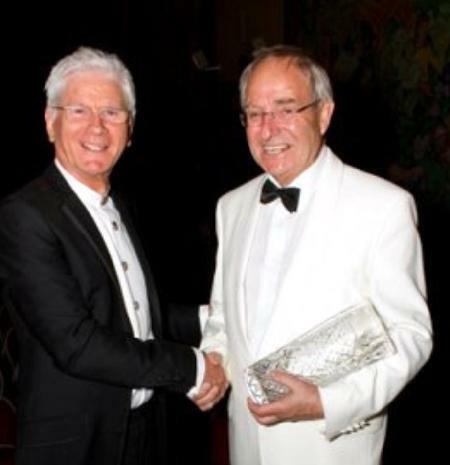 Presented by Conductor Emeritus, Dr. Alwyn Humphreys MBE at the Annual Gala Concert 2011. Sadly, Robby passed away in 2013 after 52 years of dedicated service to the Orpheus. 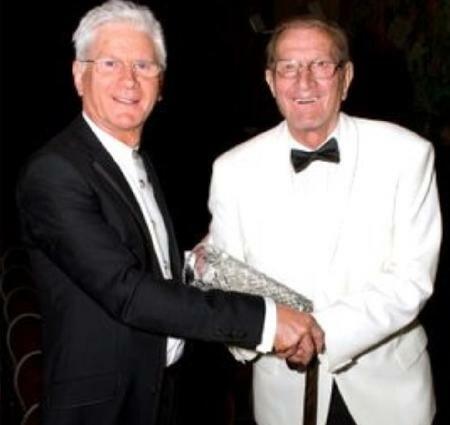 Robert Thomas Harrison has been a proud member of the first tenor section of the Morriston Orpheus Choir for 50 years. Born in Aberdare and brought up in Penllergaer, where he sang in the church choir, he moved to Gorseinon when he married his wife, Valerie, in 1959. Whilst he was an electrician at the 3M’s factory, Robby was persuaded to join the Orpheus by another long term first tenor, Wynford John, and he vividly recalls the night he took his voice test for conductor Eurfryn John on 10th May 1961. 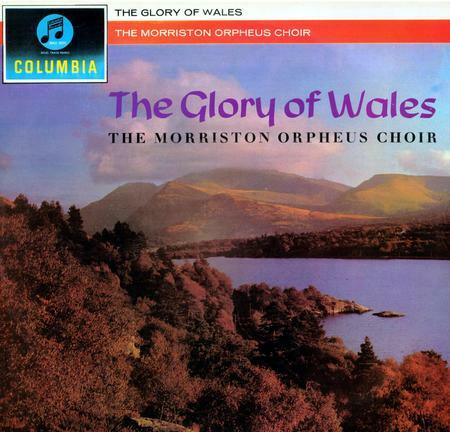 The whole Committee was present at the voice test and they listened intently as a nervous young Robby faced the test which was to transform his life – becoming a member of the famous Morriston Orpheus. ‘The conductor decided not only which section you were best suited to, but also which seat you should sit in and you didn’t change it! There was no probation period in those days – you were straight in’, remembers Robby. Pieces in the then repertoire included ‘Martyrs of the Arena’, ‘Nidaros’, ‘Crossing the Plain’ and many other ‘heavyweights’. All pieces were serious then, there wasn’t any light music. Competitions took up a lot of rehearsal time. Although a lot of success had been achieved in Eisteddfodau under founder Conductor, Ivor Sims, Eurfryn John was not as successful, having lived in the shadow of Mr Sims, but he was an excellent teacher. Subsequently, Robby took part in ‘dozens of recordings’ and enjoyed them all. Although the Choir travelled to England and other countries in Europe under Eurfryn John, it was really Alwyn Humphreys that promoted the Orpheus to foreigners and broadened the repertoire. and Carnegie Hall were the highlights of his singing career, but New Zealand was the country he liked most. ‘If I’d been 20 years younger, I would have stayed in New Zealand in 1999’, he reminisced. Robby admits that he’s lost count of the number of concerts he has participated in, but the Orpheus has played a huge part in his life, particularly in providing support when his 90-year old mother died in a road accident in 1986, when he developed cancer in 1990 and on the premature passing of wife Valerie in 1996. Robbie recalls when he returned to the rehearsal room following his 6-months illness with cancer, which had forced to retire from his electrical work at BSC Trostre, Llanelli, he found his empty chair waiting for him, with Alwyn Humphreys inviting him to take his usual place, as if he hadn’t been away! That meant a lot to him. The son of a baker, Dudley decided not to follow in his father’s footsteps, but to become an Engineer. From his home in Gendros, Dudley attended Swansea University, where he obtained a degree which led to him becoming a Chartered Mechanical and Electrical Engineer, beginning his working life at Tir John Power Station, Swansea. Dudley’s career took him to a post in Aberthaw Power Station in 1966 and then to Pembroke Power Station in 1968. Pembroke was one of the 20 large power stations in the UK and apart from a few secondments as a consultant to Iran and Kuwait, Dudley stayed as a Shift Manager at Pembroke until his retirement in February 1997.
t the age of 24, Dudley, a former boy soprano at Saron Chapel, joined the second tenor section of the Morriston Orpheus Choir under Eurfryn John, having taken his voice test in the Parish Hall. Slate Street, Morriston. Shortly afterwards he competed in the Miners’ Eisteddfod in Porthcawl, where the Orpheus won first prize. Dudley regrets not having joined the Choir earlier, when the Orpheus was invited to appear in the Royal Command performance at the London Palladium in 1957 – he would have enjoyed that. 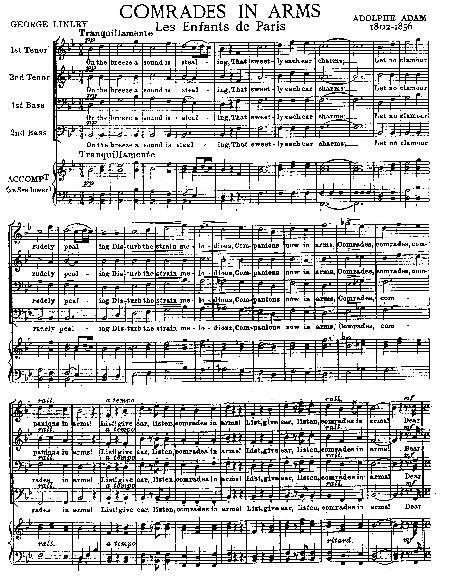 Nevertheless, pieces like ‘Comrades in Arms’, ‘Martyrs of the Area’, Myfanwy’ Steal Away’ and ‘Matona’ sealed his appreciation of the Orpheus’ reputation and high standard, which he was determined to support and promote as a young member. Having appeared in well over 1000 concerts, Dudley loves singing, irrespective of the venue or even the country. He has sung under 6 Musical Directors and has enjoyed the variety of music it has been his pleasure to share with fellow choristers and to hear world-class performances by a variety of soloists. He was one of the five Orpheus members who sang in the Investiture Choir at Caernarfon Castle in 1969. Apart from singing and his partner of 15 years, Carol, Dudley’s other passions are rugby and golf. He is a long serving member and former Fixture Secretary of Waunarlwyd RFC, a post he acquired through being the only member of the committee who could write (so they said)! Because his name was listed in the WRU Handbook, he became eligible to join the rugby club in Kuwait. He discovered that this rugby club had the only bar in Kuwait – what a bonus! He is also a former Captain of the London Welsh Golfing Society, the only captain never to have lived in London! His brother Geoffrey is the current President of the Society, an honour first held by the Rt. Hon. David Lloyd George in 1924. When it comes to social events, Dudley is very much to the fore. He seldom misses a Wales rugby international match, home or away, and attends all the Choir tours and social events. He recalls a social trip which members of the Choir made to the Llangollen International Eisteddfod to watch the Male Choral Competition. On arrival at Llangollen, one of the party remarked it was unusual not to see the town bedecked in bunting for the festival. At that point, they realized they were there on the wrong week! Asked about how he has survived all these years travelling the world with the Orpheus, Dudley joked, ‘Well I’m still standing and I’m enjoying it – Joy is such good fun!’ Looking to the future, he doesn’t see a need for the Orpheus to fundamentally change its style,’ but’, he said, ‘afterglows keep choirs going and I would like to see afterglow rehearsals introduced. That’s a facet of the Orpheus that does need improving’.